The muscular body of the 2018 Mercedes-Benz GLC is wind-tunnel-honed and track-toned. A long wheelbase, big wheels and wide track add up to space, stability and sportiness. Crisp proportions and chrome details attract admiring eyes like it's drawn to the road. Venture through wide rear doors to the 40/20/40-split rear seats. Even your luggage rides in luxury, with a standard power liftgate. Sensuous shapes deliver sensible benefits for all your senses, from crisp displays to available voice control. Advanced safety systems and driver assists use radar, cameras and more to help make any journey more comfortable, and more comforting. With racing-bred design and selective damping, the 4-wheel multilink suspension clings to curves yet glides over bumps and is rugged in the rough. Optional multimode AIR BODY CONTROL can lower for loading, raise for ruts. 4MATIC® continually sends the engine's torque to the wheels that can put it to the best use. On slippery roads, it elevates driving confidence. It's lightweight, nimble and fuel-efficient, to enhance handling and fun year-round. GLC safety keeps an eye on your future. A high-tech suite of systems is available to help make every move easier. Some can make traffic less stressful, from cruising to changing lanes. Others can help you find a parking space, then find your way in hands-free. Radar helps spot hazards in your path. A team of standard and optional systems can monitor all around you, alert you, help you brake, and even respond on your behalf to help reduce collisions.The muscular body of the 2018 Mercedes-Benz GLC is wind-tunnel-honed and track-toned. A long wheelbase, big wheels and wide track add up to space, stability and sportiness. Crisp proportions and chrome details attract admiring eyes like it's drawn to the road. Venture through wide rear doors to the 40/20/40-split rear seats. Even your luggage rides in luxury, with a standard power liftgate. Sensuous shapes deliver sensible benefits for all your senses, from crisp displays to available voice control. Advanced safety systems and driver assists use radar, cameras and more to help make any journey more comfortable, and more comforting. With racing-bred design and selective damping, the 4-wheel multilink suspension clings to curves yet glides over bumps and is rugged in the rough. Optional multimode AIR BODY CONTROL can lower for loading, raise for ruts. 4MATIC® continually sends the engine's torque to the wheels that can put it to the best use. On slippery roads, it elevates driving confidence. It's lightweight, nimble and fuel-efficient, to enhance handling and fun year-round. GLC safety keeps an eye on your future. A high-tech suite of systems is available to help make every move easier. Some can make traffic less stressful, from cruising to changing lanes. Others can help you find a parking space, then find your way in hands-free. Radar helps spot hazards in your path. A team of standard and optional systems can monitor all around you, alert you, help you brake, and even respond on your behalf to help reduce collisions. Mercedes-Benz of Lafayette is proud to carry the 2019 Mercedes-Benz GLC. With its beautiful lines, well-appointed interior, and excellent performance, this brand-new crossover SUV offers a multitude of outstanding features that are well suited to those looking for a combination of comfort and superior handling. There are several options available in this vehicle, ranging from improved horsepower to hybrid function. As always, Mercedes-Benz makes customizing vehicles easy with a seemingly endless selection of options so you can further dial in your preferences. This Mercedes SUV has aerodynamic styling that is both functional and attractive. It comes in your choice of two overall styling packages as a starting point, both with unique details. Select from either the AMG® Package or the gloss black Night Package. We have both available on site for you to compare. Each package comes standard with 19″ AMG® wheels and can be upgraded to 20″ (or larger) upon request. A combination of sporty and sophisticated, this SUV is as much a pleasure to look at as it is to drive. Four different trim levels offer a host of choices, and we’ll be happy to walk you through each of them in person so you can thoroughly investigate all the perks. Step inside the 2019 Mercedes-Benz GLC and you’ll find some wonderful interior appointments, including seating for five. Features such as a panoramic roof and ambient lighting are available to add to the overall driving experience. You can also add 3-zone climate control to keep everyone comfortable for as long as the trip lasts. The luxuriously stitched seats offer heating in the front as a standard feature, along with adjustability and plenty of leg and head room for you and your passengers. In addition, these amenities are topped off with a solid sound system, smartphone integration, and other state-of-the-art technology. Drivers will enjoy the responsive steering and handling of this Mercedes SUV, as well as the high-performance, in-line, 4-cylinder engine offering both economic travel and great horsepower for its size. Whether you want to drive in sport mode or kick back and enjoy the superior suspension and smooth ride, this Mercedes-Benz SUV delivers. The most basic model has rear-wheel drive, but all others boast all-wheel drive, adding to its fantastic performance in all climates. An off-road engineering package is also available if you want to test its mettle in nature. You can upgrade this crossover SUV to include a more powerful turbo engine or customize the engine and performance features you’d like to see included. 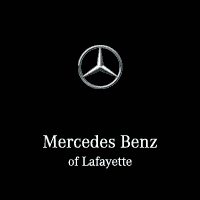 Talk to the Mercedes-Benz of Lafayette team and we’ll run a few different scenarios for you to get started. Mercedes-Benz GLC safety features include radar and numerous standard and add-on features that keep you and your passengers protected on every ride. Take advantage of standard features such as finely tuned cruise control with automatic braking, forward collision warning, and more. If you prefer, you can upgrade to the Driver Assistance Package or Advanced Parking Assist Package for even greater support. Contact our team and we’ll present you with all available options so you can select the match that works best for your needs and lifestyle. Contact us to learn more about the 2019 Mercedes-Benz GLC!